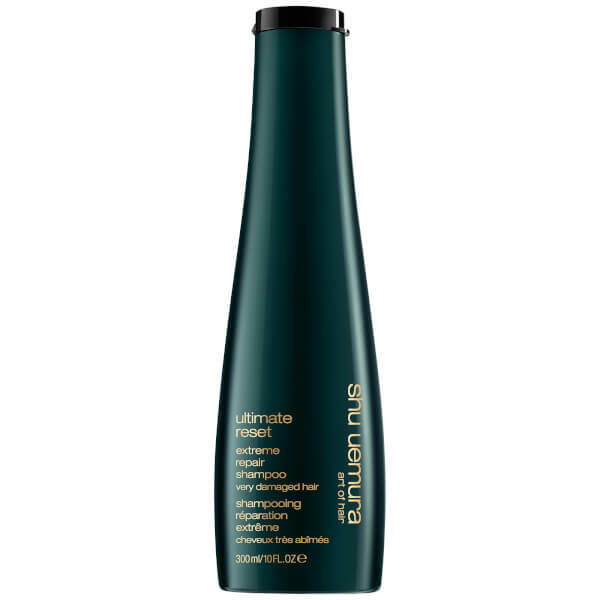 Envelop damaged hair in gentle nourishment with Shu Uemura Art of Hair Ultimate Reset Shampoo, a reparative treatment for locks which have undergone frequent bleaching, colouring and heat styling. Enriched with hydrating Coconut Oil, the delicate cleanser helps to lift away any dirt, impurities and product build-up whilst strengthening strands from root to tip in order to fortify against future breakage. 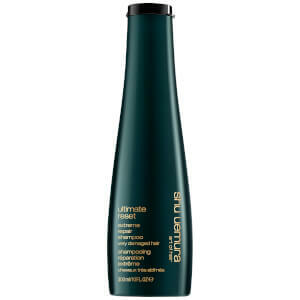 Locks will be left fresh, healthy and revitalised. Aqua / Water, Sodium Laureth Sulfate, Dimethicone, Glycol Distearate, Sodium Chloride, Cocamidopropyl Betaine, Guar Hydroxypropyltrimonium Chloride, Coco-Betaine, Cocos Nucifera Oil / Coconut Oil, Tocopherol, Sodium Benzoate, Hydrolyzed Rice Extract, Sodium Citrate, Sodium Hydroxide, Phenoxyethanol, Steareth-6, Acetic Acid, Safflower Glucoside, Peg-100 Stearate, Peg-45m, Trideceth-10, Trideceth-3, Salicylic Acid, Limonene, Fumaric Acid, Benzyl Alcohol, Benzyl Salicylate, Linalool, Amodimethicone, 2-Oleamido-1,3-Octadecanediol, Carbomer, Citric Acid, Butylene Glycol, Bht, Hexylene Glycol, Glycerin, Parfum / Fragrance.